Cloud storage provider Backblaze continues to share the wealth of information (not to mention hardware designs) it’s learning as it operates its 40,000-hard-drive, 100-petabyte storage service. On Wednesday, it shared its analysis of the 70-plus SMART data attributes that all hard drives report about their performance. 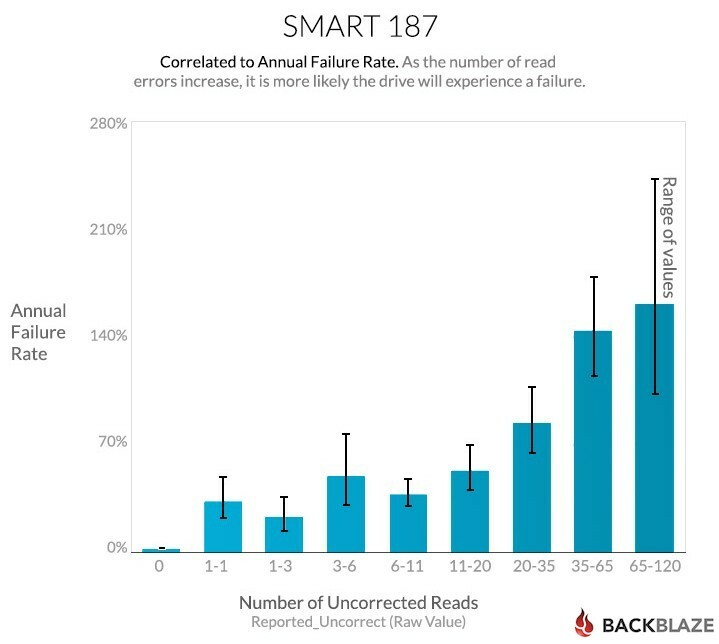 Of those, Backblaze’s Brian Beach explained in a blog post, the company use five to predict failures, and the strongest might be related to uncorrectable read errors. “[O]nce SMART 187 goes above 0, we schedule the drive for replacement,” he wrote.